When was the last time you broke a favorite mug? It is inevitable that if you use the same mug every day it could get broken at some point. Perhaps you have a backup favorite mug. Maybe it wasn’t shattered too bad and can be glued back together. The worst-case scenario would be that the mug is beyond repair has to be tossed out in the trash. It’s never easy to “break up” with a favorite item like that. However, there are some other things in your home that you probably can break up with and should. That would be all the junk rubbish you have accumulated over the years. Anything that can be thrown out into the trash should be turned over the Junk King Palm Beach. Yes, it is time to break up with your junk! What is the heaviest thing in your home that you like to break up with? Maybe it is a sleeper sofa bed or recliner. It could be a ping-pong or pool table that no one uses. Perhaps it is an old entertainment center or baby furniture you have crammed into the attic. Removing anyone of those things would be a big bonus around the house. If you have more than one of those kinds of items, then you can really make a difference by having Junk King take it all away. When Junk King says “we do all the work” they really made it. That work will be conducted by a two-man crew who will be assigned to your junk removal session. This is an experienced team that has lifted and loaded all kinds of objects from homes, apartments, storage units, businesses and schools. What you may consider to be too difficult to move is just another day on the job for Junk King. You shouldn’t hesitate asking them to remove any object from your home or yard. Yes, the Junk King crew can also do some amazing work clearing away yard debris like old patio furniture or swing sets. If you are ready to break up with your junk, then Junk King Palm Beach is the call to make. They make junk removal easy. 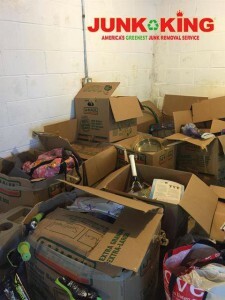 This entry was posted in Palm Beach Junk Removal and tagged junk, Junk King, junk removal on February 25, 2019 by Junk King. Last updated February 25, 2019 . No matter how close you come to buying your dream home, there will always be room for improvement. That means you don’t have to find the perfect house but a house with possibilities. It is also true that first-time homebuyers need to get educated fast about all aspects of buying a home to avoid costly mistakes. Here are the mistakes you’ll want to avoid. A household functions better when it is working with a budget. That is vitally important as you prepare to buy a home. That budget is in for some adjustment and it’s not just the new mortgage payment. For the most part, the mortgage payment replaces the rent payment but there will also be property taxes that have to be paid along with homeowners insurance and all the potential repairs. That is a lot to budget for. It makes no sense to go looking for a home without being prequalified for a mortgage. Sellers aren’t going to wait around while prospective buyers get their paperwork sorted out. As a result, you could come across a great home only to lose it what you wait for a lending company to approve you for a loan. 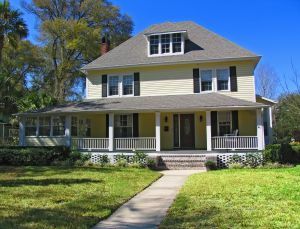 When you get approved before you start looking, you can focus on houses in your price range and make offers with confidence. An experienced real estate broker is going to have a major impact on your home purchase. Although you might only be working with them for a few weeks, it is going to be a very intense few weeks of work. That agent will be negotiating your behalf. They’ll also be able to steer you away from a potentially bad deal and that could be extremely important. As first-time homebuyers, you probably will have been saving up for a down payment for a long time. There is nothing wrong with that. What is wrong is wiping out your savings for that down payment and/or closing costs. You have to remember all the money you’re going to be spending for moving, buying new furniture. Whatever you think you need to save for your home purchase, you probably have to save a bit more. 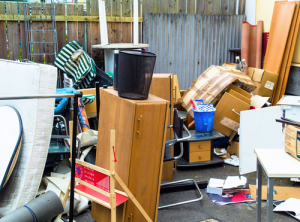 Finally, a big mistake for first-time homebuyers would be to move into your new home with all your old junk. You shouldn’t bring anything into your home that isn’t going to be use. This is where Junk King Palm Beach can help. As you pack up, you’ll find all the things you’ll want to get rid of. 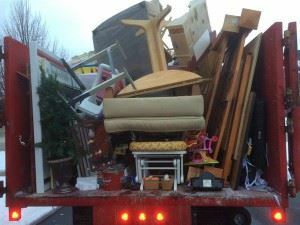 All of that stuff can be quickly loaded onto the Junk King truck for responsible disposal. Junk King Palm Beach can help first-time homebuyers avoid the mistake of moving with junk. That’s a good move! This entry was posted in Palm Beach Junk Removal and tagged first-time homebuyers, junk, Junk King on August 31, 2018 by Junk King. Last updated September 2, 2018 . What traditions do you have for the 4th of July? 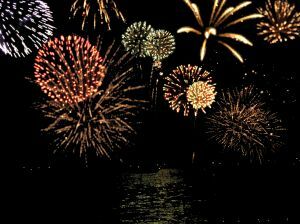 Do you go to see the same fireworks display? Maybe you’re close enough to walk to a nearby park or watch them from your backyard. That sure beats getting stuck in traffic when leaving a big event. If you are hosting a backyard BBQ, then you probably only need a day to get ready. Shop in the morning for food and drinks and then spend the afternoon prepping. As for the backyard, that can be cleaned up with one call to Junk King Palm Beach. Junk King isn’t the crew to hire to clean your grill but you can certainly put them to work with all kinds of yard debris cleaning. The team from Junk King can finally remove all those items that you’ve been eager to get rid of. Things like a swing set, hammock, lawnmower or planter that have all taken a beating from the weather. If you’re replacing patio furniture, then the Junk King crew can clear that away, too. All you’ll be doing during this entire process is pointing to what you want taken away. What about the rest of the house? If you’re having company over, then you’ll want to get rid of the old furniture and other clutter objects from there, too. Everything that is collected by Junk King has a chance to be recycled. This is always Junk King’s priority. They consider it a good day whenever they can avoid a trip to the landfill. If the goal is to get this stuff cleared by the 4th, then you’ll want to call Junk King ASAP. They often will have same day sessions available. This is a company that is happy to work around your schedule. With Junk King, you’re in control. Are you ready to celebrate your independence from junk? Then let Junk King Palm Beach make that happen for you today. This entry was posted in Palm Beach Junk Removal and tagged independance day, junk, Junk King on June 30, 2018 by Junk King. Last updated June 30, 2018 . You can tell a lot about our lives by what we throw away. Archeologists have made a career out of sorting through ancient trash heaps to find out how we used to live. Left behind in a dump are all the remnants of food, clothing, tools and other articles of life that really do indicate a sense of society and culture. Of course, most of us won’t have to worry about having an archeologist dig around our homes but we should be concerned about the amount of junk we are actually hanging onto. This could be the stuff that is crammed under beds, into closets or even in spare rooms that is causing our homes overflow with debris. The only reason to hang onto that stuff is because you don’t have a way of getting rid of it. At least, you didn’t until Junk King Palm Beach set up operation. Junk King Palm Beach is a local based junk hauling franchise that specializes in the removal of all kinds of junk. We’re talking any shape or size. There will be nothing too big or bulky that a Junk King crew won’t be able to haul away. Because this is a professional operation you know that they are dependable and insured. This matters a lot especially for any workers you’re bringing in your home. The first step with working with Junk King is to set up your appointment. You pick the day that works best for you. That’s much better than waiting for the city to haul away something from your property. Plus, with Junk King you won’t have to do any actual lifting or loading. Leave it all for the Junk King crew. This is really the only civilized way of handling your garbage. Once you’ve let go of all that junk you’ll be amazed at how your home has opened up. Even the simple act of finding an outfit to wear to work won’t be stressful because your closet is going to have a lot more room. There is no reason to hold onto your junk as long as Junk King Palm Beach is standing by for a fast removal session. This entry was posted in Palm Beach Junk Removal and tagged junk, Junk King, junk removal on January 31, 2018 by Junk King. Last updated February 1, 2018 . What is the benefit of recycling? It comes from saving energy. 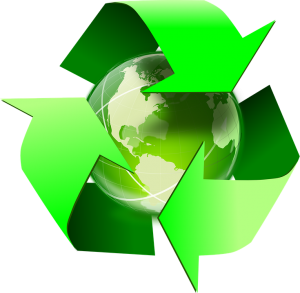 More energy is used to produce something from raw materials versus recycled materials. How much energy? Recycling just 48 soda cans is equal to saving one gallon of gas. Paper was one of the first materials to be recycled on wide scale basis. Since 1990, the paper recovered through US recycling efforts would fill 200 football stadiums to a height of 100 feet. Every ton of recycled paper saves 17 trees and 462 gallons of oil. One pound of newspaper can be recycled into six cereal boxes or egg cartons. The list of benefits from recycling is endless! Now think about the trash you toss out each day. What about your lunch? A typical disposable lunch, with items like single-serve yogurt, Ziploc bags, and juice boxes, creates 4-8 oz of garbage each day. Add it all up and it comes out to around 67 lbs. of t trash each year and that’s just from your lunch. This is the time of year that Americans throw away one million extra tons of garbage every week. The average U.S. citizen uses 200 lbs. of plastic per year but only 3% of that amount is actually recycled. There are also around 220 tons of computers, TVs, DVD players and other e-waste dumped in landfills each year. That’s way too much. Are you feeling inspired to recycle even more? There are plenty of things around your house you can recycle and it’s not just paper, plastics and glass. When you hire a company like Junk King Palm Beach, you can add furniture, appliances, clothing and yard debris to your list of recyclables. Junk King doesn’t do the actual recycling but they’ll make sure your stuff gets to the right drop off spot. Junk King Palm Beach is the perfect partner to help you expand your home recycling program. This entry was posted in Palm Beach Junk Recycling and tagged junk, Junk King, recycling. on November 30, 2017 by Junk King. Last updated December 3, 2017 . We all have embraced the concept of recycling. It has become second nature to us to recycle plastic and papers at the home and office. But you might be surprise at how many other things you want to give away that can be recycled. Case in point: Your big appliance. Every stove, dishwasher, fridge, dryer and washing machine can also be earmarked for recycling if you hire the right company for removal. Here in Palm Beach, that company would be Junk King. Since its inception, Junk King has dedicated itself to recycle the bulk of what they collect. This doesn’t mean everything they snag gets crushed and melted down. Any item that gets donated to a charity would also be considered as recycled. If it doesn’t go to a landfill to decompose, then it is considered a recycling win. 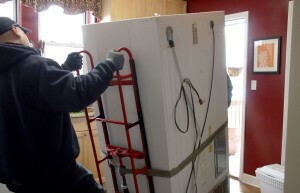 Junk King will take care of the drop off of your big appliance to the proper facility. They’ll also do that for a lot of other things you want to get rid of. All your unwanted furniture, electronics and household goods can all fall into the same recycling category. How easy is it to set up an appointment with Junk King? Extremely easy. In fact, you can do it all online. You might want to schedule with Junk King on the same day as the delivery of your new appliance. That will minimize the disruption in your kitchen. As for the price, Junk King charges a fee based on how you’ll fill up the truck. The less space, the lower the price. Obviously, if you’re just getting rid of one appliance you won’t be paying a lot. However, because you have a crew doing all the work and disposal, you should take full advantage of them. If you were to try and do this task on your own, you might end up spending twice, if not three times, as much as what Junk King will charge you. If you’re looking for efficient junk hauling and big appliance recycling, then look no further than Junk King Palm Beach. This entry was posted in Palm Beach Junk Removal and tagged big appliance, junk, Junk King on November 2, 2017 by Junk King. Last updated November 2, 2017 . Just because there won’t be any snow on the ground in Palm Beach doesn’t mean folks won’t get in a festive holiday spirit. All throughout the area, Christmas lights will start going up and decorations will be hung with great care. If you’re going to be decorating this year, then you’ll want to bring in Junk King Palm Beach. This is a dedicated crew who won’t help hang up lights but can certainly work magic when it comes to clearing out the clutter! Junk King Palm Beach is can supply you with a strong moving crew who is going to do all the heavy lifting. Knowing you’ll have this team at your disposal might have a huge impact on deciding what you want to get rid of. It doesn’t just have to be some old clothes from your closet but it can be things like a sofa, refrigerator, old television or mattress. Want to be great to get rid of those kinds of things? One call to Junk King Palm Beach can make it happen. The other things you might be looking to get rid of our electronics such as old computers, printers or monitors. These are the kinds of things that need to be disposed of at a certified recycling center. You could wait for the occasional e-waste drop off day. But those events tend to be very inconvenient and far removed from where you might be. Junk King Palm Beach will make sure all those items will get to the proper facility. Decorating your home for the holidays might also mean drawing attention to your front yard but in a good way. After all, you want folks to enjoy the decorations you hang up outside. What you don’t want them to enjoy our any kinds of yard waste. The crew from Junk King Palm Beach will be happy to pick up any debris that has been dropped in your yard by Mother Nature. They can also take away things like leftover construction material, rusty auto-parts, spare tires or even a hot tub! This just no end to what junk King Palm Beach can take from your home! Kick off your holiday decorating the right way by having all the junk and clutter removed from your home with help from Junk King Palm Beach. This entry was posted in junk removal and tagged clutter, decorations, junk, Junk King on November 23, 2016 by Dave Archer. Last updated August 11, 2017 . What was your last DIY project? Did it involve work around the garden? Was there a plumbing fixture that had to be installed? Did you get truly ambitious and replace your kitchen flooring? Those are all the kinds of jobs that you could take great pride in accomplishing them on your own. Then there are those chores that could be handled as a DIY project but aren’t the least bit fun. Taking care of junk removal certainly falls into that category. When you break down how to handle is type of task you might find yourself not being overwhelmed but also sacrificing a precious day off. Before you go down that road, you might want to consider bringing in Junk King Palm Beach. The two essentials for taking care of junk are manpower and truck space. Even if you manage to coerce a friend into helping you carry out all the heavy stuff you want to get rid of you could put your back at risk. Your friend might even get injured. With Junk King Palm Beach on the job won’t have to lift a single box. A two-man moving crew will be assigned to your junk task and they will be in charge of all the lifting and loading. The only thing you have to do is show them all the things you want taken away and they’ll handle the rest. DIY junk removal also involves renting a truck. That would mean you need someone to drive you to the truck place, fill out all the paperwork, take out insurance, use the truck and then return it at the end of the day. With Junk King Palm Beach on the job, the crew will be rolling up in their own truck. This is a vehicle that will be enough to hold whatever you’re tossing out. Doesn’t that sound a lot simpler? There won’t be any limit to what you can get rid of with Junk King Palm Beach. That’s because weight should never be an issue. Junk King Palm Beach never charges by the pound. Instead, their prices are based upon how tightly the crew can pack up the truck with your stuff. That is a very fair way of pricing out this type of work. Take care of the small DIY projects yourself but leave the big junk removal job to Junk King Palm Beach. This entry was posted in junk removal and tagged DIY, junk, Junk King, junk removal on August 18, 2016 by Dave Archer. Last updated August 11, 2017 . Dave Archer, owner of “Junk King Palm Beach County,” explains how to recycle, reuse and repurpose your junk this spring. This entry was posted in junk removal, News and tagged junk, recycle, reuse on March 29, 2016 by Dave Archer. Last updated August 11, 2017 .